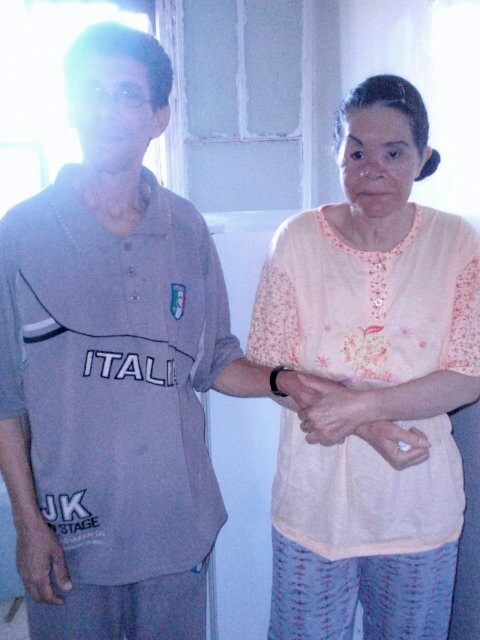 Raad and Hayfaah, a Sabean-Mendaean couple, arrived in Amman recently, having fled Baghdad following a kidnapping attempt on Hayfaah. 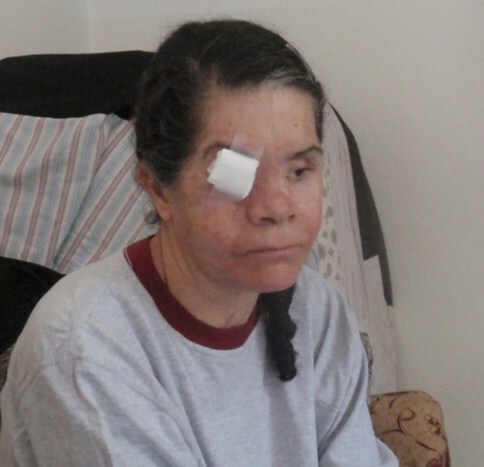 She tried to escape by jumping into a taxi but the militia opened fire on the taxi, hitting her in the face numerous times. 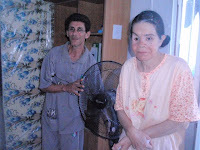 Amazingly, she lived but lost one eye completely and is losing sight in her remaining eye. 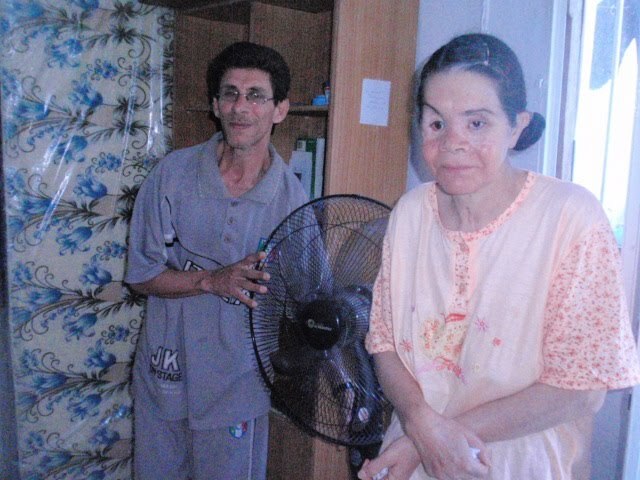 Her nose was reconstructed but is without bones. She was pregnant with their first child but lost it because of the attack and she is now unable to conceive. She appears to have affective disorder – blank expression, no real response, even when her husband was breaking down sobbing. We suggested counseling but they stated they are doing fine. Being newly arrived, they are likely appreciating and absorbing the sense of relief from fear. Possibly, that relief is so great that it is masking their feelings of despondency - for now. Having only recently arrived in Jordan, they do not yet have the cash assistance from UNHCR but, even when they do begin receiving it, they will only receive120JD per month. Their little flat with its very small windows was swelteringly hot so we rushed to get them a fan to cool it a bit. We are also looking for a decent second-hand refrigerator for them. 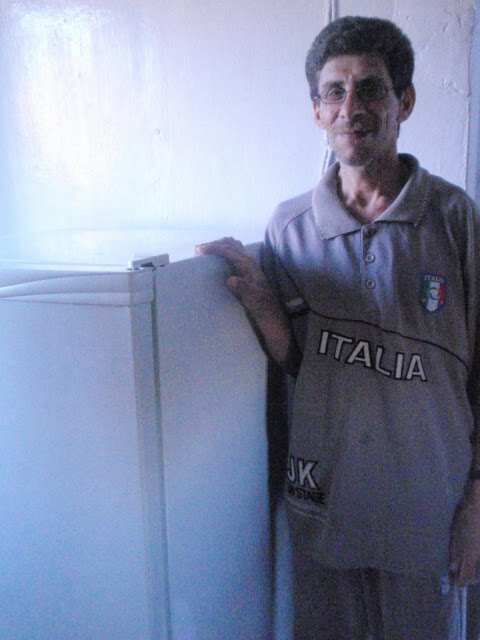 Refrigerators are especially critical for the poorest because they save food from spoilage, making their meager purchases last longer -not to mention giving them the pleasure of being able to drink cold water during the searing summers here. Last week, Raad attended Dominoes Night and both he and Hayfaah attended the social for the first time! We were surprised and pleased that she did, considering her emotional state on our initial contact and the fact that her face is so very battered and she is nearly blind. After our initial home visit, we were able to purchase a used refrigerator for the couple, in addition to the fan purchased earlier. These two items help ease their difficult and spare living conditions. 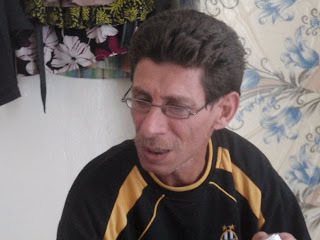 When they attended the Social Night, Hayfaah exclaimed how good it was to be able to a have a glass of cold water now. Their participation in CRP activities at the Family and Community Resource Center is an encouraging sign. They now have a social outlet from their previous isolation that will help them to cope with the trauma they have so recently been through. It also points graphically to the importance of the CRP Center in providing a sanctuary for those who lack options for a respite from past traumas and present hardships.